Our office is located right across the 85, near the cross section of El Camino Real and Bernardo. We are located about 1 mile away from El Camino Hospital. Our address is 660 South Bernardo Ave., Suite #1, Sunnyvale, CA 94087. Our phone number is (408) 733-2008. We are dental specialists focused in the unique dental needs of young people (infants, toddlers, kids, children, adolescents). Dr. Lee is a Diplomate of the American Academy of Pediatric Dentistry, i.e. a board-certified pediatric dentist. 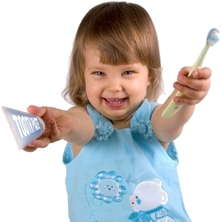 Our staff are devoted to creating a child-friendly, safe dental office environment. We are centrally located in the Silicon Valley to serve communities from all over the South Bay and the Peninsula, including Sunnyvale, Cupertino, Mountain View, Los Altos, Palo Alto, Santa Clara, San Jose, Campbell, Milpitas, Saratoga, Fremont, and Los Gatos. Come visit us and let us earn your trust to be your children's dentist - kids' dentist!